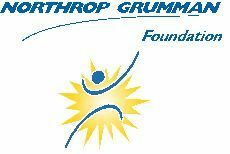 LOS ANGELES, April 11, 2011 -- The Northrop Grumman Foundation announced today that the Foundation has awarded a grant of $50,000 to Great Minds in STEM™'s nationally acclaimed Viva Technology™ program. Viva Technology™ is a Great Minds in STEM™ (GMiS) education awareness program that stimulates interest and academic achievement in science, technology, engineering, mathematics (STEM) and computer science by engaging students, parents and teachers in hands-on activities to promote awareness of actual STEM careers and pathways to those careers. The Viva Technology™ program will allow current college students who are pursuing STEM-related studies and Northrop Grumman professionals to serve as peer role models with students enrolled in the program as they compete for top honors and prizes. "Through this interactive program, schoolchildren learn that there are viable career options in engineering and science that are interesting, exciting, financially rewarding and attainable," said Sandra Evers-Manly, president of the Northrop Grumman Foundation. "By emphasizing that college technical degrees are fundamental to entering these careers, the young students will learn and hear from great role models who are pursuing technical degrees, or are already working in technical careers." This is the Foundation's first partnership directly with GMiS's STEM Education Awareness programs. For the past 22 years, Northrop Grumman has supported GMiS through a partnership with the Hispanic Engineers National Achievement Awards Conference (HENAAC). The two Viva Technology™ programs slated for Spring 2011 and Fall 2011 will take place at Parkland Magnet Middle School in Rockville, Md., and Will Rogers Middle School in Lawndale, Calif., respectively. Northrop Grumman's enterprise-wide Hispanic employee resource group, One Adelante, will coordinate the two Viva Technology™ programs with GMiS on behalf of the Northrop Grumman Foundation. For more information about Viva Technology™ program and future programming please visit www.vivatechnology.org .